John Richardson, President – Premier Plastics Inc. The annual Bike-A-Thon, through St. Paul’s Hospital in Vancouver’, helps bring the gift of sound and the joy of life to children that are born totally deaf. This event, in its 33rd. 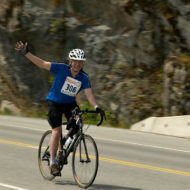 year, attracts approximately 100 riders from Rotary and the public at large. July 9 will be my 15th. Bike-A-Thon. Please help me raise funds for this very noble cause by making a donation through my GIFTTOOL page link below. A tax deduction receipt will be sent to you. Your donation will be very gratefully received. Read full article of the 2015 Bike-A-Thon here. That is awesome! I applaud your commitment & support of this noble cause. Way to go John!